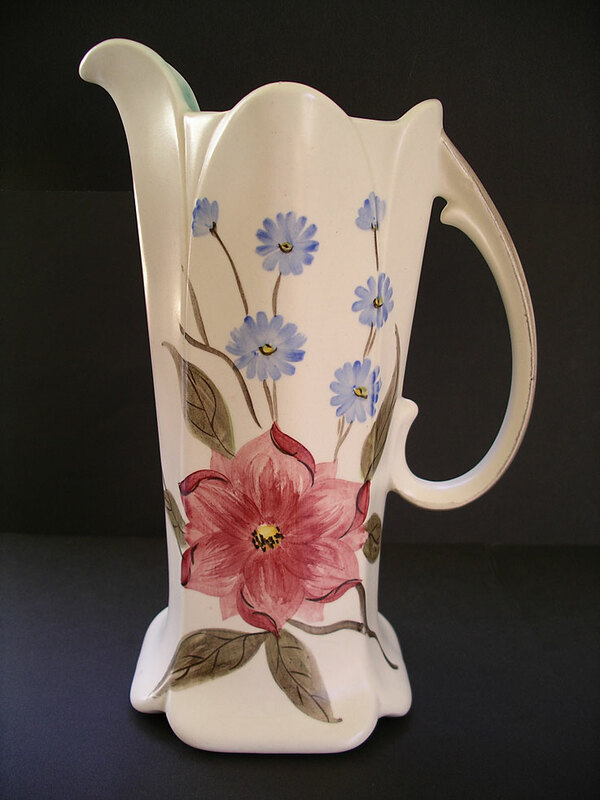 "A lovely example of a large E. Radford jug vase of classic art deco shape. The stylized hand painted flower decoration is unmistakably Radford in bright vibrant colours. The pattern is the Radford BD pattern. Wonderful decorative quality for the best art deco and Staffordshire art pottery display or dresser. These vintage Radford art pottery pieces are becoming harder to find and are increasingly sought after." Antiques Expert Hamilton Bear. Dimensions: height 230 mm max. Marks: to base as illustrated. Condition: In excellent condition for display with no significant wear to decoration which is clean and bright. 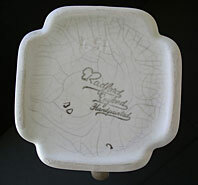 There is typical Radford wares crazing to base and one small flat chip to the side of the handle. This is illustrated much enlarged for clarity but from a normal viewpoint is easily missed and does not detract from the wonderful decorative qualities of this piece.